Iris by Hybe is an interactive media canvas made of an expandable LCD matrix. 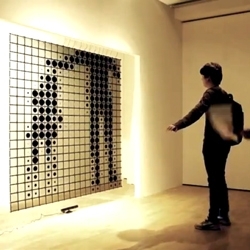 Using the Kinect, the installation begs users to play with it. Check out more from Hybe.